The Seaport Hotel and World Trade Center’s 6th annual Christmas in the City Celebrity Holiday Tree & Wreath Auction will take place on Thursday, December 7th from 6:00 – 9:00pm with longtime Christmas in the City supporter and New England Patriots wide receiver, Julian Edelman. 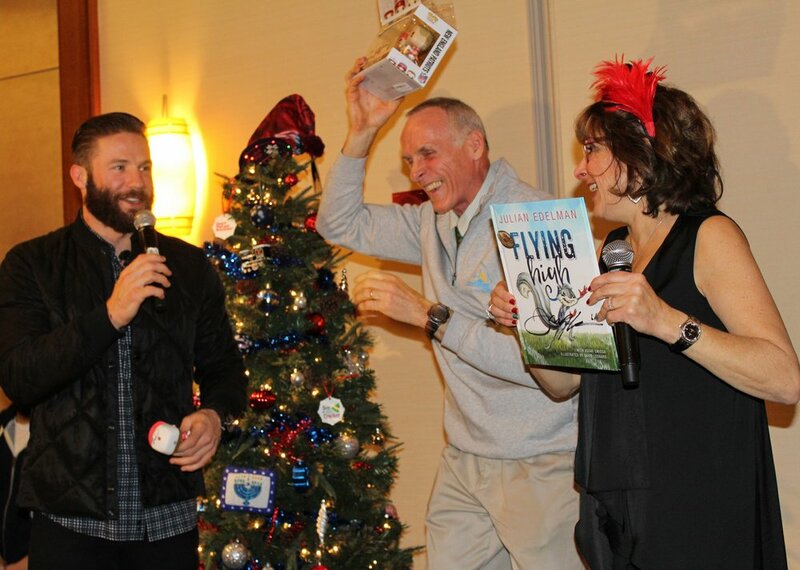 Last year, Edelman did an exclusive reading for the kids in attendance from his children’s book, Flying High, and we can’t wait to see what he has up his sleeve for them this year! Edelman will also take part in a live auction, with items including a one-of-a-kind Christmas tree decorated by the wide receiver, as well as specially decorated wreaths and a select number of signed copies of his books. The evening will feature additional silent and live auctions, raffles, tasty nibbles and a cash bar provided by the event sponsor, the Seaport Hotel & World Trade Center. Guests are asked to please bring one, new unwrapped toy to donate as well, as the event serves as the toy drive kick-off and 100% of the money raised goes to Christmas in the City to purchase additional toys and other bits of holiday magic to assist children in need. Christmas in the City (http://www.christmasinthecity.org), a 100% volunteer organization, will hold its 29th Annual Holiday Party in December and is expecting to serve thousands more children this year – so they need more support than ever to meet the need. 5,000 children living in shelters or transitional housing will attend the celebration with their parent or guardian. The following day, Christmas in the City will give out toys and clothing, serving 13,000 more children whose families have fallen on hard times and otherwise might find nothing under the tree. The Seaport Hotel will once again serve as a drop-off location for toys; those donating can drop toys directly at the valet parking station or in the hotel lobby beginning on Monday, November 27th.